Girl The Party PiNK TACO: Lesbian Cinco de Mayo Fiesta! Top Rated 'Best Club Night' by Orlando Weekly Readers 2016 & 2017! 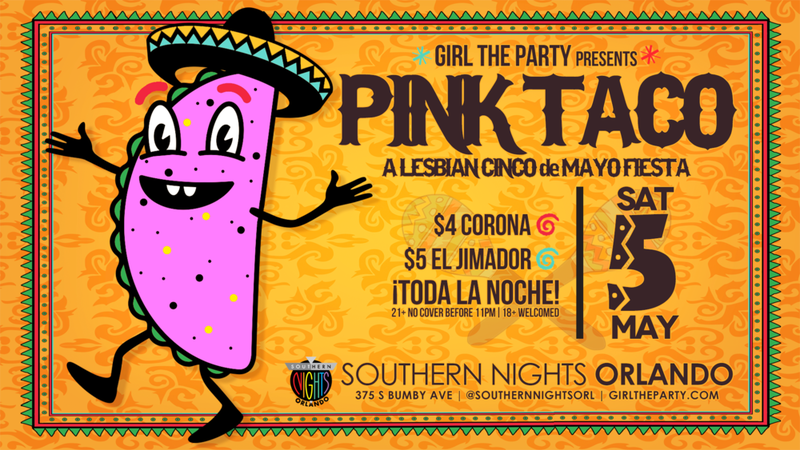 This week its PINK TACO: A Lesbian Cinco de Mayo Fiesta! Avoid all the expensive covers Downtown and party at your favorite Saturday Night place to be!